Diarmaid Collins / Lustbader / DK+DI / PresidentAndroid This is an incredible album. 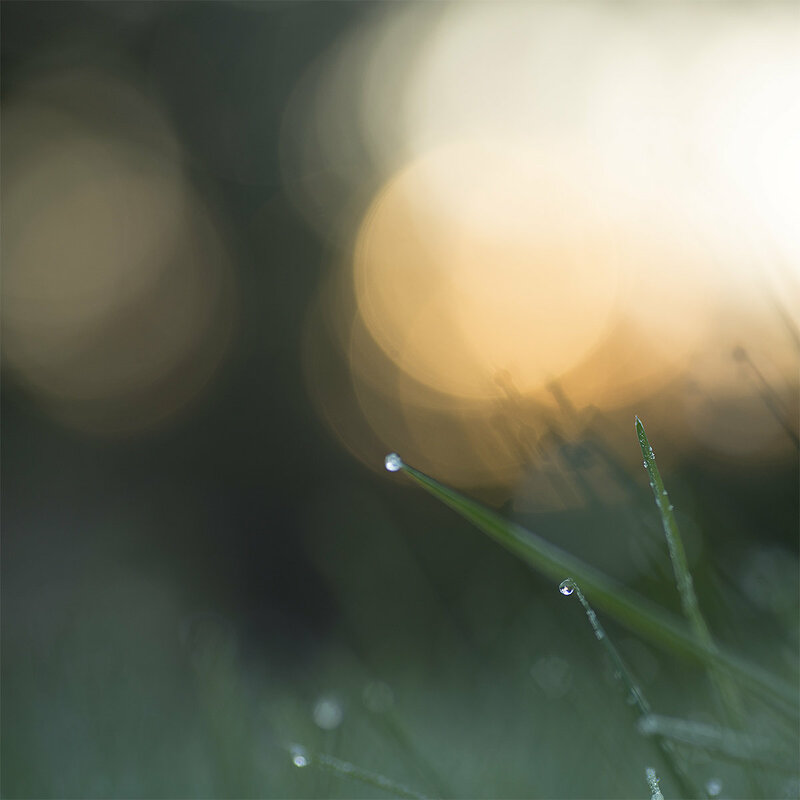 Each track is a flawless ambient dub masterpiece - exquisite, delicate, immense and emotive. Pure bliss from start to finish. Favorite track: Havets Sång. Nicolas Loupia Listening to this masterpiece, I realize how much music is all about movement and space. 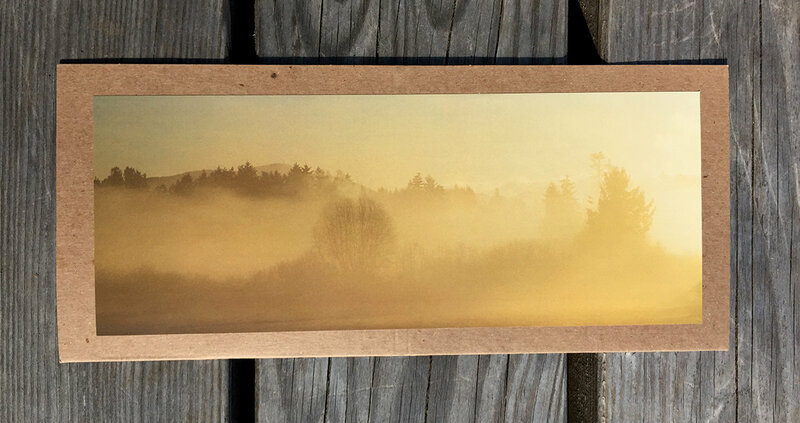 Kontent can't help breathe in every single molecule in the misty fresh morning air from the mother nature, totally bliss! Favorite track: Baleine. 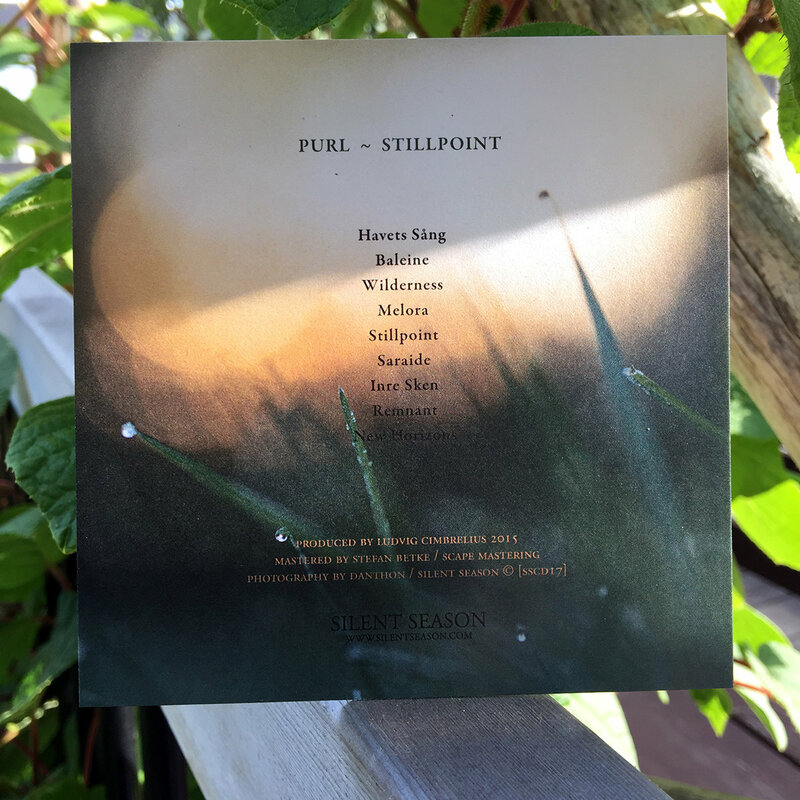 This package includes a special re-release of 2011's Deep Ground [SSD03] album in CD format along with a numbered edition of the Stillpoint [SSCD17]. [SSD03b] is a limited edition of 100 CDs in collaboration with Eternell and Silent Season. 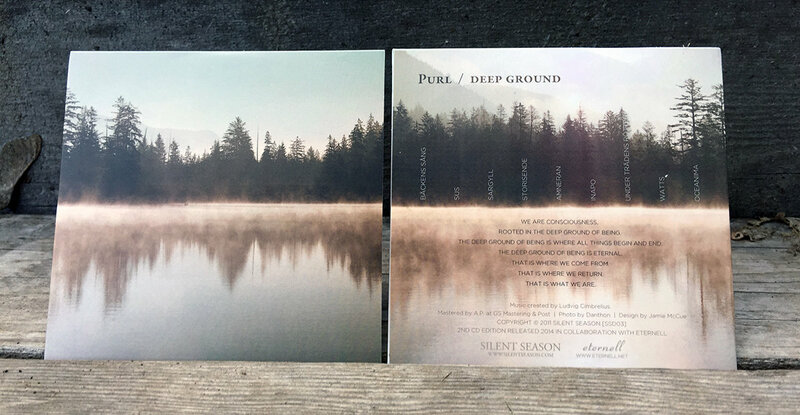 Deep Ground was mastered by A.P at GS Mastering & Post. Includes unlimited streaming of Stillpoint via the free Bandcamp app, plus high-quality download in MP3, FLAC and more. 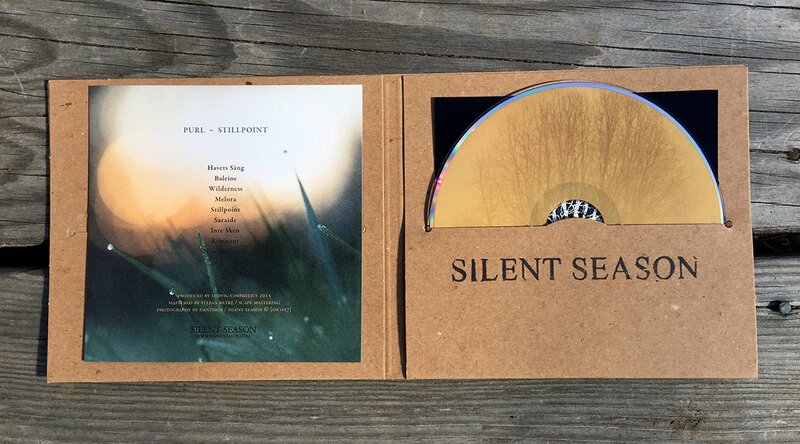 350 limited edition CD available in the traditional Silent Season recycled jacket. Each CD includes a color insert, stickers, stamped, hand numbered, and sent with love from Vancouver Island. 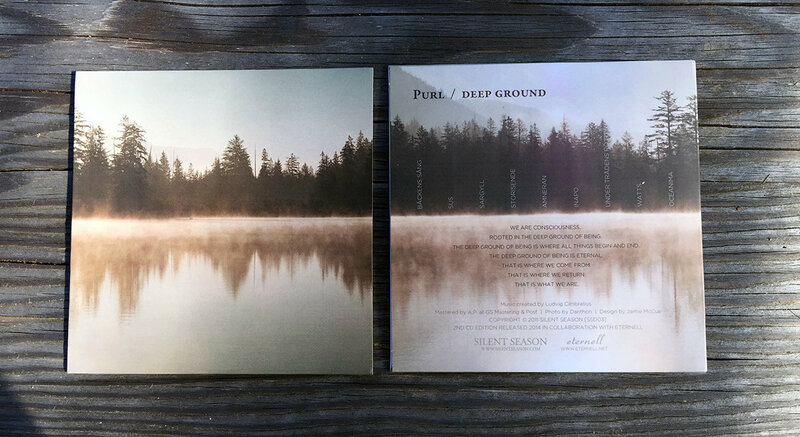 Purl ~ Deep Ground [SSD03] was originally released in July 2011 on Silent Season. Ludvig Cimbrelius, who also records as Alveol, Eternell and Rust, among other aliases, has kept the Purl name for the more ambient side of his dubby techno. He first appeared on the British Columbia imprint with 2010's Deep Ground, and Stillpoint marks his first release for Silent Season since, after racking up a few albums on Dewtone Recordings and Post Global. 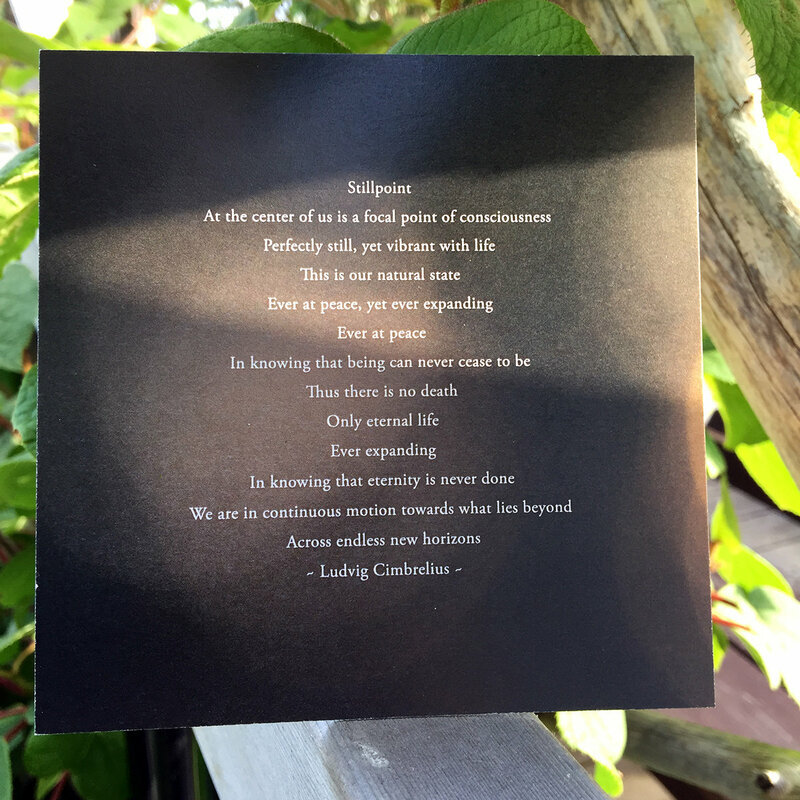 A magical aural journey of dubby, ethereal, lightly groovy and lush beautiful sounds... music as a doorway to the eternal.